can be used to increase your will, strengthen your spiritual work, and leadership skills. may be used to reverse jinkes, turn back curses, or break the evil eye. October's Homework Party is Friday the 10th. Summer is coming to a close, and folks at Lucky Mojo are hard at work. This month we've managed, with expert assistance and some extra hours of polishing and sprucing, to update the Lucky Mojo Forum! This long-overdue and monumental change was designed to make the Forum more user-friendly. Not only that, just in time for the New Year of 5775, we have launched the LMC Radio Network with a brand-new show, starring everybody's favourite, Professor Charles Porterfield! Read all about these great new projects below! 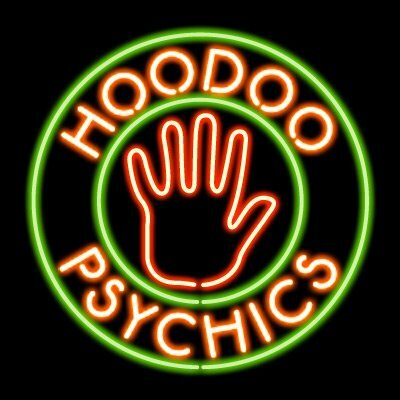 The Lucky Mojo Forum has been available to the hoodoo community since December of 2008. Since that time our community has grown to over 6,000 members. In the almost six years since we came online, the Forum has received an average of 60-plus posts per day, for an average of 1,800 posts per month. 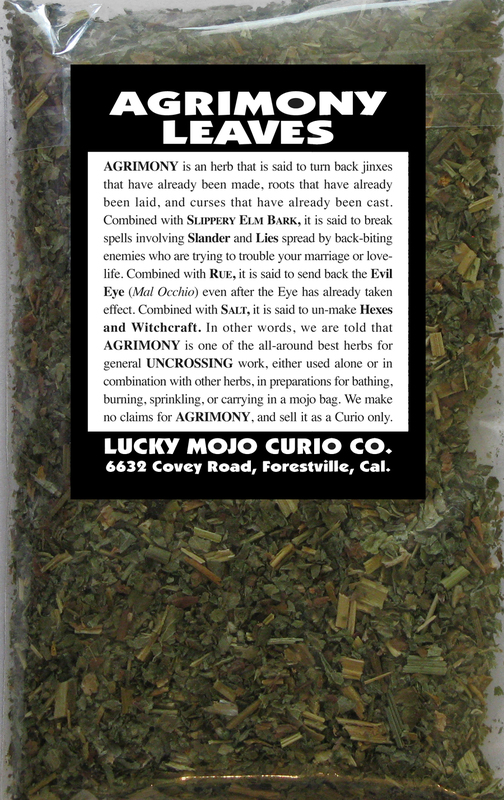 Because it is open 24/7 and staffed by a wide array of professional root doctors and experienced practitioners, the Lucky Mojo Forum is the best site on the internet to come to for authentic spell-casting help, to ask for advice about which hoodoo supplies to purchase, and to meet like-minded people in a safe, friendly environment. As popular as the Lucky Mojo Forum is, the software system that runs it has been in desperate need of an update and modernization. Some of you will remember with horror the difficulty in getting from one thread topic from another, the challenge in finding posts that you wanted to follow, and the trouble in jumping to the end of a thread. Well, no longer will the forum software create frustration in its navigational features! We have had several amazing magic computer elves working day and night to help upgrade the forum. Some of the changes they have made are subtle and if you aren't a Forum Moderator you might not even notice them. However, what might look simple on the surface actually took some real heavy lifting on the back end to make these changes happen. Increased security software to help deflect spammers. The most up-to-date forum program software available. Vast improvements to the search function, allowing for specific keywords to be found much more easily. Allowing 'wild card' searches, by using an asterisk (*) in the search box in order to widen your search potential. Ability to subscribe to a thread so you can see when comments are made, as soon as they are made. Members can have active thread topics, which will help you to more easily track your personal posts. Ability to go right to the end of a thread without having to scroll through pages and pages of posts. Simple access to the Forum Rules and Frequently Asked Questions (FAQ) pages through links on the top of every page. New sort functions that allow you to look at posts by the number of replies, time of post, author of post, number of thread views, or the subject of the thread. These sort features can be found in simple pull-down menus at the bottom of any thread. A jump feature that allows you to go right to the thread for which you are looking. This jump feature is in a pull-down menu at the bottom of any thread page. 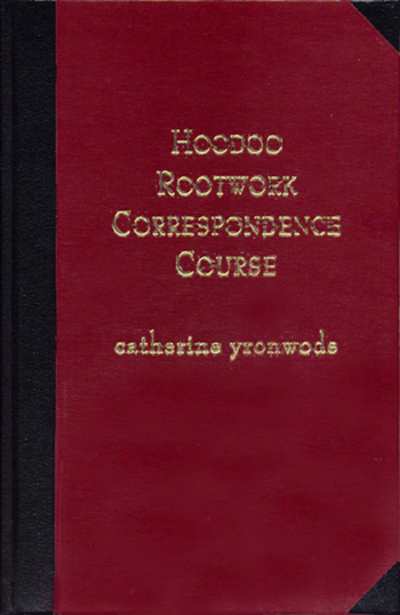 Several new Forum Moderators (their names are in green) have joined our incredible list of long-time Mods -- and all of the Mods are graduates of catherine yronwode's Hoodoo Rootwork Correspondence Course, so you know their advice is for real. Promotion of Miss Aida to Forum Administrator! (Yay, Miss Aida!) She is helping to train the new Mods and she is also available to help you with any questions or issues in using the forum. And the changes are still in progress. As the Mods and Admins continue to work on the forum, you will notice that the number of topic threads decreases day by day. This doesn't mean that posts are being removed, but rather that they are being moved and merged to more appropriate locations in the forum. As the number of topic threads goes down, the number of posts-per-topic will go up. This will help make forum navigation easier. The Administrators and Moderators are working to merge threads together because over the years, similar questions or topics have gotten posted in two or more different areas. For instance, some questions about love-reunion spells may have been posted (and answered) in the Love Spells section, while others ended up in the Healing and Blessing section. When Moderators merge similar topics, you will get the most accurate and complete responses to your questions in each easy-to-read thread. This is ongoing work, and the current goal of the merging project is to reduce all of the sub-forums that deal with conditions (such as love, money, health, protection, cleansing, or curses) down to 60 rich and heavy topic-threads. There are also sections of the forums that are being completely revised. This will mainly be noticed in the section called Hoodoo, Rootwork, and Conjure Community -- the place where folks come to hang out and make friends, and where we also share aspects of black popular culture that extend out from hoodoo into the general realm of worldwide folk magic. If you aren't already a member of the Lucky Mojo Forum, there is no better time to become one. Anyone can read the information provided on the forums, but if you want to post questions or answers, you need to sign up. There is a ton of great information to help you with your rootwork growth and development. Plus, on top of getting your personal rootwork questions answered in the forum, signing up allows you to PM (private message) other forum members, many of whom are professional readers and rootworkers. Signing up is easy: If you look to the left hand column you will see a link that will take you right to the Lucky Mojo Community Forum sign up page! All you need is an email address, your personal username, and a password. Your name can be a pseudonym if you want to remain anonymous. New members will need to have their first three posts hand-approved by a Moderator (this helps to prevent spammers), so don't worry if your first few posts don't show up right away. (And PLEASE don't post the same question more than once while waiting!) We have many Moderators keeping an eye on things and new posts will be approved as quickly as possible. After you have past the "spammer test" and are judged to be a human being, you can post at will, any time, day or night. You might notice that your posts have their titles changed or they might be moved to into a different section of the forum. They may be merged into an existing topic thread. This is what our Moderators do. Don't take it personally; we are working to make sure that your information is easy to find and in the right spot. If you have a question about some aspect of conjure, it is very likely that someone else out there has had that same question and we want them to be able to find all of these answers as easily as possible. You'll be able to find your moved and merged posts through the 'Show Your Posts' portion of your own User Control Panel. General Information: In this section you will find news and announcements on and about the Lucky Mojo Curio Company. 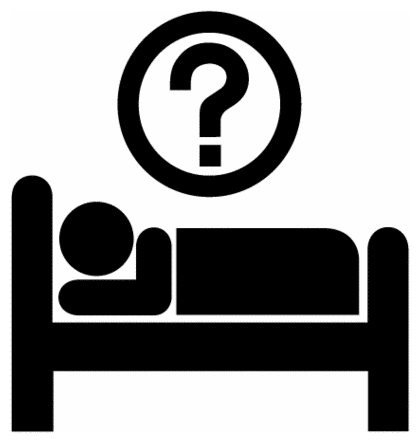 You can also ask technical questions about forum functionality and problems in this area. How to Use Lucky Mojo Spiritual Supplies in Hoodoo, Rootwork, and Conjure: These threads contain information on specific products that are sold at Lucky Mojo and how to best use them. They are organized into sub-forums based on the form of the products, such as candles, sachet powders, incense, hoodoo oils, amulets, baths and washes, spell kits, books, curios, herbs, and more. Inside each sub-forum you will find general questions and answers about that form of product (for instance, general questions on how to use our anointing oils) and also you will find named threads for each products in that category (for example, Attraction Oil, Love Me Oil, and Money Drawing Oil). In the named product threads you will often find pictures of the products and even our classic blue Add To Cart order-buttons that enable you to fill your shopping cart from within the Forum itself. Ask Us for Help with Hoodoo, Conjure, and Rootwork: Throughout these "condition" threads you will find information on life's various situations, along with specific spells, tricks, hoodoo prescriptions, and practical methods to deal with these issues. If you have problems with love, money, work, crossed conditions, terrible neighbours, lost pets, family, health, etc., you will find answers from the conjure community here. Questions on conditions are listed in these threads along with hundreds of responses. This is by far the most active area of the forum. Hoodoo, Rootwork, and Conjure Community: In this section you will find information on Missionary Independent Spiritual Church, Hoodoo Psychics, the Association of Independent Readers and Rootworkers, the Crystal Silence League, the Hoodoo Heritage Festival, the Southern Spirits historical archive, and other internet sites recommended by the Lucky Mojo Curio Company. Your personal introduction to the forum can be made here, and this is also where you can sign up to get a free reading on the Lucky Mojo Hoodoo Rootwork Hour radio show! Readings are not given on the forums. However, if you need help with a condition, spell, or situation, you can find amazingly talented readers on the forums. 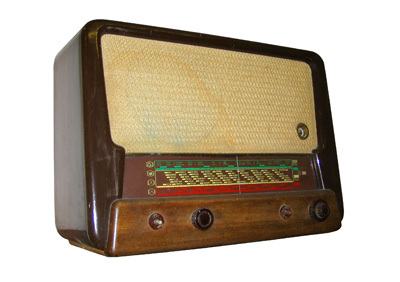 Plus, don't forget to sign up for a free reading on the radio show through the forum. Basically, if you are looking for any information in the realm of hoodoo, conjure, or rootwork, you are likely to find what you seek in the Lucky Mojo Forum. The changes and updates have also meant that there have been some things lost. In particular, if you have not posted to or visited the forum in a number of years, your account information may have been "pruned" from the forum database. We apologize for this, and if your account has been locked out or you can't seem to get into the forum all of a sudden, PLEASE contact our forum Technical Help Desk so we can fix your account login. Ernie Medeiros and nagasiva yronwode are our technical assistance team, and they are responding as quickly as they can to any and all user problems. To contact the forum help desk, send an email to forum@luckymojo.com. If you run into questions or problems while using the forums, start by looking at the top of the page and clicking on the FAQ word bubble icon. This will take you to a list of the most common questions. If you can't find what you are looking for in this spot, you can email forum@luckymojo.com or PM (private message) Miss Aida, one of the Forum Administrators, who may also be able to help you find the answers that you are looking for. Be sure to have a look at the Forum Rules too, since knowing them will help you avoid delays due to problematic content. The Lucky Mojo Forum is a great place to find free information about African American conjure, connect with other people in the community, and learn to work your roots! There are many people who have helped keep the forum running smoothly over the years. These recent changes have taken a lot of effort, and the day-to-day work that our Members, Mods, and Admins expend to help make the forum such a rich resource and pleasant environment is deeply appreciated. We couldn't maintain this thriving online community without all of you, and we are grateful for those that have stepped up to help keep it going. Launching the LMC Radio Network! "The Now You Know Show" with Professor Charles Porterfield! We are excited and proud to announce the launch of the LMC Radio Network! 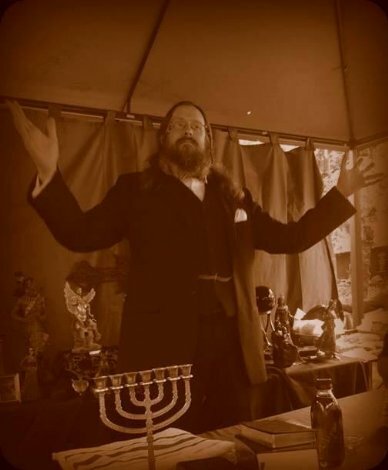 As you are all aware, your shop already sponsors the weekly Lucky Mojo Hoodoo Rootwork Hour every Sunday -- and now we are expanding our sonic and educational outreach with a brand new weekly radio show from Professor Charles Porterfield! It is called "The Now You Know Show," and it airs every Thursday evening. This new and exciting variety broadcast covers all things hoodoo, rootwork, and conjure and it will launch on Thursday, October 2nd at 6:00 pm Pacific / 8:00 pm Central / and 9:00 pm Eastern time on Blog Talk Radio. Mark that date -- Thursday evening, October 2nd, 2014 -- and tune in to hear the premiere of The Now You Know Show with Professor Charles Porterfield, broadcast live and on the internet from delightful downtown Denton, the 27th most populous city in the great state of Texas, and the hoodoo capital of the Golden Triangle! Special Guest Readers and Rootworkers from AIRR, the Association of Independent Readers and Rootworkers, will be featured on September 7, 14, 21, and 28 2014. Tune in and see who's up! The fall season is right around the corner and we've already been feeling it here. As the darkness of winter starts to sneak up on us we have to take our work indoors and stay warm in the shop. But don't worry, come rain or shine the Lucky Mojo Curio Company is here to fulfill your rootwork needs. 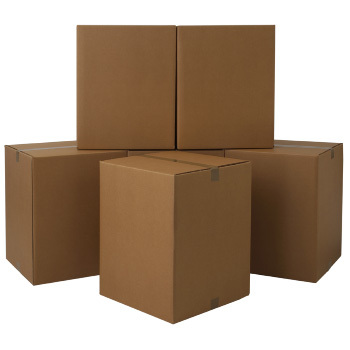 Don't forget that right below this box is a special DISCOUNT COUPON. 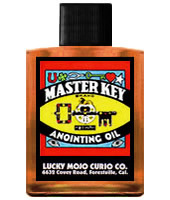 Our line of Master Key products can help you to achieve your goals and move your skills into a higher level. Give them a try, we know that you will love them. And right now they are available at a reduced cost; a 20% discount.